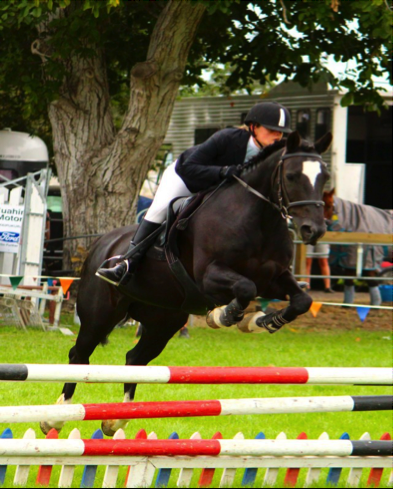 I have been riding my whole life, and often compete in show jumping on the weekends. 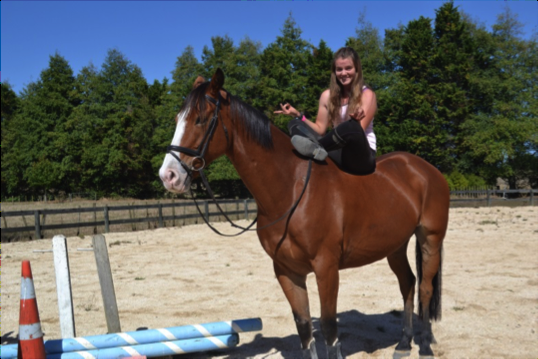 I have experience and success in several different disciplines with my horses such as show jumping, games, hunting, beach riding, etc.One of my ponies, Missy, is especially suitable for filming as she is not only stunning, but is also very safe for handling and riding. 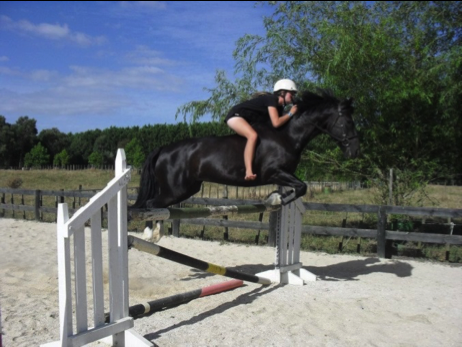 She is an 11 year old, black mare and stands at 14.2hh. Anyone – child or adult – can ride Missy. She is huge fun and the ultimate kid’s pony. My horse Barney and I compete nationally on the show jumping circuit. He is a 9yr old bay gelding and is 15.3hh. Our aim is the Junior Rider Series. Both have experience in other areas such as hunting and pony club games which means they are safe in a group situation with other people and horses. 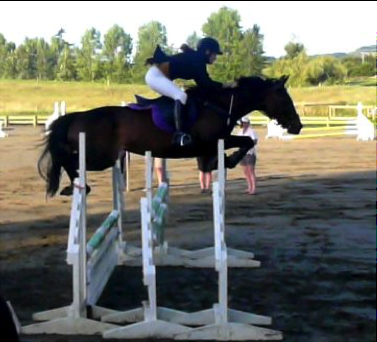 Coco (the second pic) has done Grand Prix show jumping and she and I came 2nd= in a height jumping class – to 1m 50. They also enjoy the lighter side of life with games and A & P shows (jumping). We all love riding on the beach, or in the forest. We have a horse float so getting horses to a set is not an issue if they are needed.